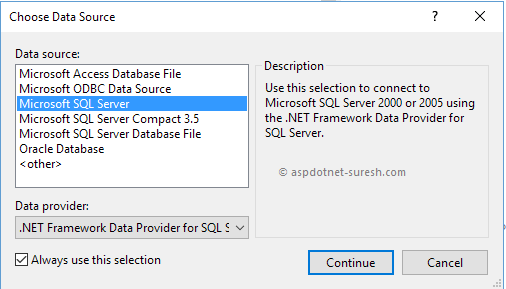 Before we proceed to call stored procedure using LINQ to SQL in asp.net applications we need to create one new table “userdetails” with data and stored procedure to get data from “userdetails” table. Following is the script to create new table “userdetails” with data. Following is the stored procedure “GetUserDetails” to get data from “userdetails” table. Once we execute above queries in database now create new web application project for that Open visual studio --> Go to File --> Select New --> Select Project --> Select Asp.net Empty Web Application --> Give name “LINQtoSQLApplication” and Click OK.
Now we will connect our database in server explorer for that open server explorer --> Right click on Data Connections --> Select Add Connection like as shown below. 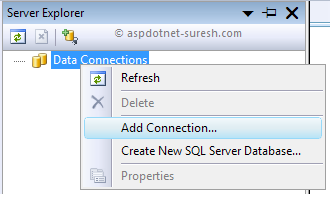 Once we click on Add Connection a new data source window will open in that select “Microsoft SQL Server” and click Continue like as shown below. Once we click Continue new popup will open in that add database connection server by entering all required fields like as shown below. 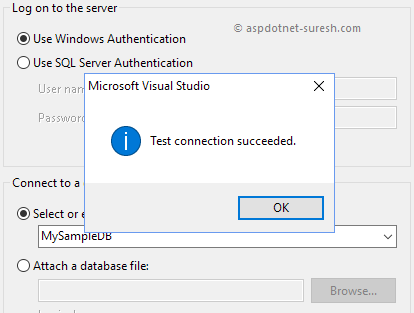 After entering all the database connection details click on Test Connection button to know whether your connection success or not like as shown below. 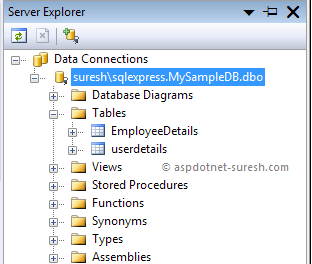 If connected database is fine means, click OK to add database to server explorer. 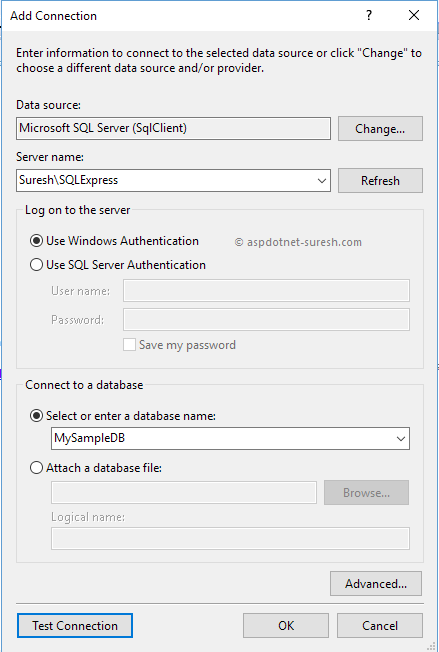 After adding database to server explorer that will be like as shown below. 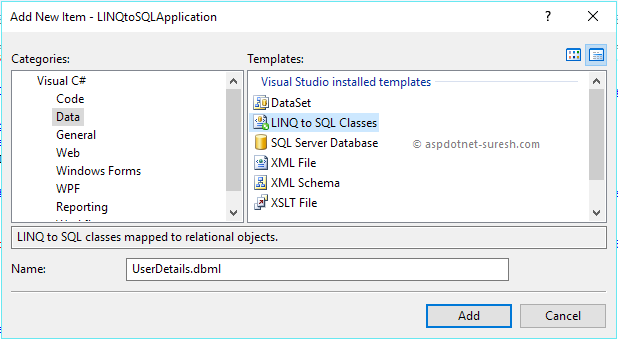 Now drag and drop “userdetails” table and stored procedure “GetUserDetails” to LINQ to SQL dbml like as shown below. Following is the result of LINQ to SQL example. Please provide more posts on MVC..
How can I write that result to XML file ?